Simplicity is one of many benefits offered by cloud computing, but migrating to cloud is not simple. Only when you understand the cloud-readiness of your infrastructure and workloads can you plan the right cloud strategy. Only when you’ve assessed the many routes to public, private or hybrid cloud can you make the right investment. And only with specialist skills can you smoothly and securely migrate workloads to cloud, or deploy your own cloud solutions. GBM can partner with you at every step of this journey, with a complete portfolio of services that help you master cloud. We have supported many of the region’s leading businesses in their digital transformation journeys. We also offer unrivalled knowledge of, and partnerships within, the local cloud computing market. We can help you take your next step towards cloud with total confidence. Is your digital infrastructure truly ready to support a smooth, valuable and risk-free transition to cloud? While many service providers are offering compelling benefits in order to win your business, there is much to consider before you commit to cloud. How will your infrastructure cope with increased data transfer requirements? Where does cloud fit into your disaster recovery strategy? 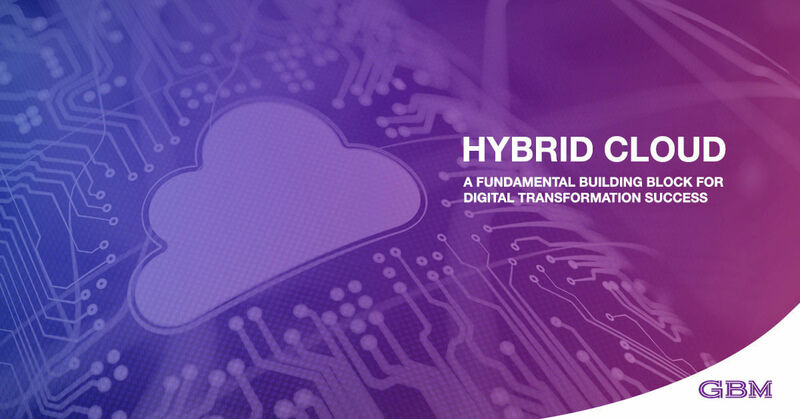 Are your workloads ready for cloud, and how will you migrate them? Only with a thorough, independent assessment of your infrastructure can you answer questions like these, and GBM has the expertise and knowledge of regional needs to conduct it. Testing to reveal hidden challenges such as scalability issues, disaster recovery needs, the impact of demand spikes, problematic workloads, and ensuring your on-premises resources map to cloud resources. With GBM, modernizing your infrastructure to prepare for cloud doesn’t have to involve guesswork, risk or ineffective solutions. With our complete range of assessment, optimization and planning services, you have verified knowledge that will take your business forward. Modernizing applications, through containerization and use of microservices, is helping businesses to innovate faster and deliver new cloud applications and services with extreme efficiency. Yet it’s vital to first assess your existing applications to discover their maturity level and suitability for modernization, as well as the business value modernization can deliver. With our application discovery and optimization service, GBM can help you build the right modernization plan and maximize your return in investment. If you want to take advantage of new application design, development and delivery methods that can make your business more agile and efficient, GBM has the expertise and services to support your entire modernization journey. Is your business ready to adopt cloud? What value can cloud bring to your business, and what is the right cloud strategy to help you realize that value? Only with a comprehensive economic assessment of your current infrastructure and workloads can you answer these questions and take the next step in your journey to cloud. With deep expertise and a locally-based cloud services team, GBM assessment services can increase your understanding and build the right strategy. Economic assessment can not only help you decide which workloads to move to cloud – it can also help you make the business case for cloud by identifying potential cost savings and efficiencies that could self-fund your digital transformation project. GBM has the technical expertise and knowledge of the local business environment to help you prepare the right strategy. If your organization’s journey to public cloud is partly about creating value and increasing cost-efficiency, make sure technical challenges don’t slow you down during deployment. With our locally-based professionals and deep expertise, GBM offers a complete range of public cloud deployment services to give you a smooth transition without unexpected obstacles and costs. With outstanding knowledge of the GCC public cloud market, long-standing partnerships with technology leaders, and delivery of successful projects for many of the region’s leading organizations, GBM is the partner to support your public cloud deployment plans. Migrating workloads to public cloud usually comes with the risk of disruption due to technical issues, loss of critical data, and employee downtime due to a long migration process. With the right migration services partner, you can mitigate these risks and take a smoother, less-costly journey to public cloud. GBM has the project expertise, locally-based professionals and proven processes to realize your public cloud strategy. If you want to speed your journey to public cloud and start taking advantage of SaaS sooner, reducing migration time to a few weeks, while protecting your data and productivity, GBM services provide the solution you’re looking for. Businesses choose private cloud when they need the strongest security and greater control over their infrastructure and where data is stored. With Private Cloud as a Service from GBM, you benefit from all this plus expert management that makes deploying and running your private cloud simple. With GBM as your private cloud as a service partner, your solution is managed to agreed SLAs, you can easily meet UAE data laws (including NESA, ADSIC and ISO27001), and you can deploy quickly and smoothly.